What are your thoughts on gold or chrome plug for your cable? Eric, thank you for your question. 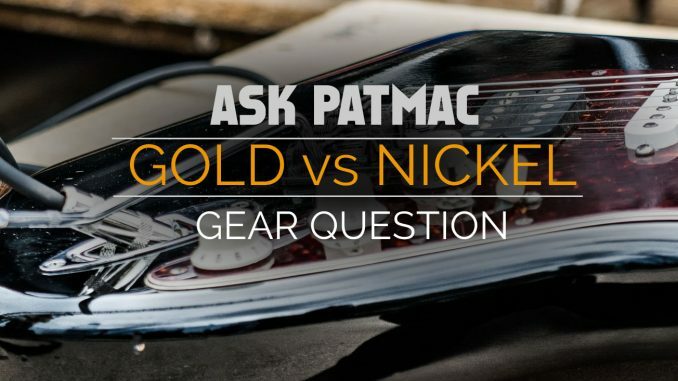 This is a question that can have an impact on your tone and your wallet. Here is my short answer. People who claim to hear a difference think gold is a little brighter and perhaps better for lead guitar. Eric Johnson is one of these people. From what I’ve read, he uses nickel for rhythm and gold for lead. The difference comes from the capacitance of the cable. Personally, I don’t think it changes the tone noticeably. Gold has marginally better conductivity and corrosion resistance. I’ve never had any corrosion issues using either metal. You can clean your contacts to prevent this. Some claim that gold on nickel plugs can actually cause corrosion to the nickel side, such as if you keep your gold cable plugged in at all times. Usually, the biggest problem is that the cable’s connection breaks where it is soldered to the plug. I’ve trashed some cheap cables because of this. Tone comes into play based on the capacitance of the wire. In theory, high capacitance can cause the high frequencies to be attenuated. In other words, you can lose some high overtones and harmonics in your signal. Shorter cables will have a lower capacitance. Another factor of capacitance is your guitar’s impedance, which is driven primarily by the pickups. The higher the impedance, the higher the capacitance. My opinion is that nickel is good for most guitarists and it costs less. 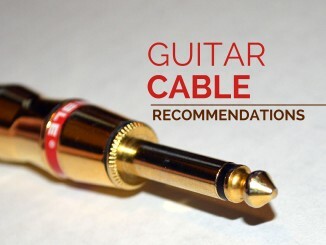 If you’re losing your bright tones, get a shorter cable or consider a pickup upgrade to lower impedance. My general recommendation is to save your money. If it’s about the tone and not the money, do a side-by-side test. If you can’t hear it, it’s probably not worth the extra money.